Send a powerful message about your event with the White Ribbon Photo Invitation. 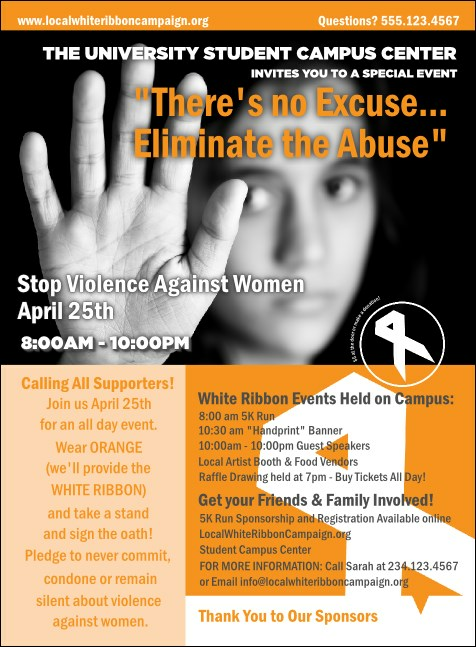 Featuring a strong black and white image of a woman holding up her hand to stop abuse, framed by orange tones and an angular white ribbon. Combine with a Matching Event Kit for easy event planning. TicketPrinting.com has thousands of designs to choose from for your non-profit event.